With mass removal do players choose the order in which the permanents are placed within the graveyard? Does Overload work with cards that have protection from X? Can I have precisions on Protection from X ? What happens to phases when a player looses? So the last changes didn't work well, have tried both Gideon Jura , Gideon, Ally of Zendikar and Serra the Benevolent , and none of them really appealed to me. Furthermore, the 4th Wrath of God is still too much considering that I have quite a bit of creatures with the Archangel of Tithes . Gideon Blackblade . I'm not expecting much from this fella, but his devotion for 3cmc, his ability to make some of my early creatures indestructible or have vigilance (very useful for the Archangels), act as an oblivion ring if unchecked, provide some beating too, and finally being another Gideon planeswalker he does synergies with Gideon of the Trials' emblem... Well it seems decent enough to give it a try! You should play Augur of Bolas or Riverwise Augur to make sure you can get it down. 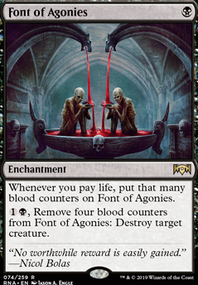 It also means that when an opponent Wrath of God s you aren't stuck with dinky 1/1s and you'll have some feasible blockers. I'd also play Vapor Snag or Unexplained Disappearance over Disperse . If anything, with the tutor package beefed up and Temur Ascendancy and/or Rhythm of the Wild being primary tutor targets that 3x tutors can snag, I've been questioning the 3x vs 2x redundancy on haste enablers to the point of wondering whether/not Dragonlord Kolaghan might be swapped for something else. During more than a few games I'd already had one of the haste-enabling enchantments tutor'd/on the field and him in hand, wanting something with a different/unique effect instead. Maybe that slot can go back to Hellkite Tyrant ? What do you think? Again, for at least the next few months, I'm going to be avoiding walkers entirely, and Samut is too narrow and fragile for the 4CMC investment. Tomer Abramovici at MTG Goldfish wrote up a nice summary that went up today about the White/Blue cards in WotS, but also had a good list of evaluative criteria as to whether/not it is worth it to run planeswalkers at all in your EDH decks. I'm not sure, based on where our build is headed/its need to swing out to get Dragon abilities online, that we clear any/many of them? -You are okay with them being targeted and hated no matter what. Your opponents will be gunning for your planeswalkers the moment you cast them. Planeswalkers are long-term value engines and provide clear, visible threats to your opponents, especially the ones with powerful ultimate abilities. Even the lowly Tibalt, the Fiend-Blooded will draw hate at the table for fear of his Insurrection ultimate ability. Since killing planeswalkers is as easy as attacking them with creatures, if your opponents can safely do that, they will. You have to acknowledge this and be okay with it. If you tilt easily or feel it's "unfair" that people are killing your planeswalkers instead of attacking Jimmy who is clearly ahead, then save yourself the headache and don't play them. -You can protect them from attacks. Casting an unprotected planeswalker while your opponents have creatures means that 'walker is all but guaranteed to be dead before your next turn. Creature-heavy decks with lots of potential blockers, Pillowfort decks that can prevent attacks ( Sphere of Safety ), decks loaded with creature hate ( Wrath of God ), and Stax decks ( Jokulhaups ) are your best bet for keeping your planeswalkers around. -You can use their abilities more than once per turn. Cards like Oath of Teferi and The Chain Veil activate loyalty abilities more than once. Rings of Brighthearth doubles your ability. 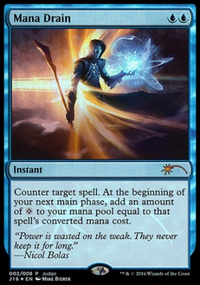 Extra turn spells like Savor the Moment let you activate them an extra time before going to an opponent's turn. -You can add counters to them. Proliferate cards ( Atraxa, Praetors' Voice ), cards that double the counters on permanents ( Doubling Season ) let you use planeswalker's minus abilities more often, most notably the game-winning "ultimate" abilities ( Nicol Bolas, Dragon-God ). 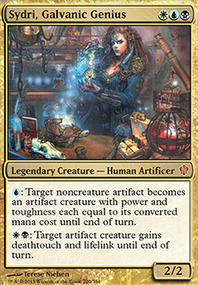 The more of the listed attributes you can check off, the more powerful the planeswalker becomes in your deck. That's not saying your deck must have all these attributes for planeswalker cards to be good. I'll run Tezzeret the Seeker in decks for the sole purpose of using his minus ability a single time. But if your deck offers zero support for walkers and/or you get upset at opponents hating out your walkers no matter what, then planeswalkers cards might end up being worse in your deck than a non-'walker card with a similar function." PlatinumOne: Wow, you're so right! If only Elspeth were in colors that were good at dealing with enemy creatures. Like if she shared a color with Path to Exile or Swords to Plowshares or Wrath of God or Day of Judgment or Fumigate or Akroma's Vengeance or Austere Command or Terminus or... need I go on? You're counting on having creatures to attack with, and then counting on them being evasive enough to get around her blockers, AND counting on them being hasty enough to get in good hits before she minuses to kill them/casts any one of white's infinite wraths. Turn five Fumigate -> turn six Elspeth is going to make that very, very hard. Your playgroup isn't a good comparison for the health of the format overall. Sure, your meta might have the tools to deal with a planeswalker commander. Others won't. The argument is that overall, having access to cards as powerful as walkers repeatedly, without recourse to end the threat permanently, is dangerous. The point isn't that there are no possible answers to planeswalkers - the point is that planeswalkers as commanders warps the meta in unhealthy ways, to the point where decks unable to consistently, not just once or twice, but every time, answer a walker will not really be viable anymore. Child of Alara was a good suggestion, and the reason you want reanimation and recursion is because other will play board wipes. You can focus your deck around getting rid of non-land permanents, your opponents will still have Damnation and Wrath of God . Your land creatures will die, this is unavoidable. You need to plan for this, so recursion will be important. Along this theme, I imagine Crucible of Worlds should be an auto include. You should probably look into ways to protect your lands. 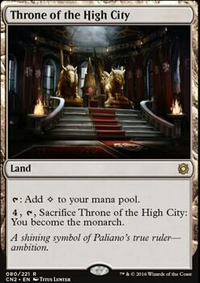 Living Plane and Nature's Revolt will turn all lands to creatures, so people will be less likely to board wipe. You can also lock the board with stuff like Elesh Norn, Grand Cenobite . Avacyn, Angel of Hope and Elspeth, Knight-Errant can provide additional protection. Why aren't you playing any Nicol Bolas? I think that Nicol Bolas, Planeswalker and Nicol Bolas, Dragon-God are all must plays in any Superfriends deck. I also think that you should play Chandra, Torch of Defiance and Venser, the Sojourner . You need more board wipes, like Wrath of God and Damnation - you are only running 2 creatures after all. Karn's Bastion is a nice land in any Atraxa deck. I run a similar list; with that being said, I did find running 4 Scavenging Ooze over 4 Kalonian Tusker to be better. It supports the +1/+1 synergy and is mainboard hate against graveyard shenanigans. I also run 2 Thrun, the Last Troll in my version as a way to beat control easily. They can't destroy it unless they are the 1 in a million person who prefers to run Wrath of God over Supreme Verdict or Settle the Wreckage . I used to run Dungrove Elder but I found it to always leave me wanting when it came to it's stats. The thrun's replace the elders in my build. I seriously recommend trying the cards if you have them. I wouldn't cut any spot removal. Maybe one Push at most. I'd also run additional Supreme Verdict over Wrath of God . The concession to Humans doesn't seem to make sense since you'll run into GDS more often and Verdict is better against them. You could run Wrath of God in the sideboard against Humans but I don't think its necessary, especially in Esper where Meddling Mage has to name both Push and Path.